Many older people will be spending Christmas alone this year, according to a poll. Age UK said its poll of more than 1,000 people aged over 65 revealed one in every 25 pensioners reported expecting to spend the festive period alone this year. This equates to around 450,000 people, the charity warned. The findings highlight the importance of making time for older family members who live in different towns, cities and countries, particularly when considering how the prospect of a lonely Christmas left older people feeling. Around one in four over 65s said they are not looking forward to December 25. Of these, almost one in five said Christmas reminded them of people they had lost over the years. The charity urged people to call in on relatives over the festive period, to help ease the loneliness they may feel. If you've moved overseas why not arrange them some flights to come over and stay with you? But before they jet off, make sure you've arranged seniors travel insurance for them, or pre-existing medical travel insurance if they have any ongoing health conditions. Meanwhile, people living nearby older folk who live alone were urged to call in on them to take Christmas more enjoyable and less lonely. Caroline Abrahams, charity director of Age UK, said: "As we head towards Christmas this is a chilling outlook for too many older people. What's even more concerning is that the majority of older people facing Christmas alone are aged 80 or over, making them the most vulnerable and at risk at this time of year. 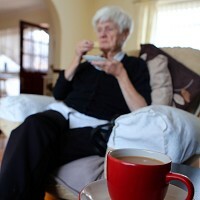 "People's social networks often shrink due to life-changing events such as retirement and bereavement which can increase the risk of feeling lonely, and we are extremely concerned that this - coupled with on-going cuts to local authority budgets - means that even more older people will feel lonely this winter."